Learn how to start or grow your own bi+ group – whether it be for socializing, support, or specific discussions! 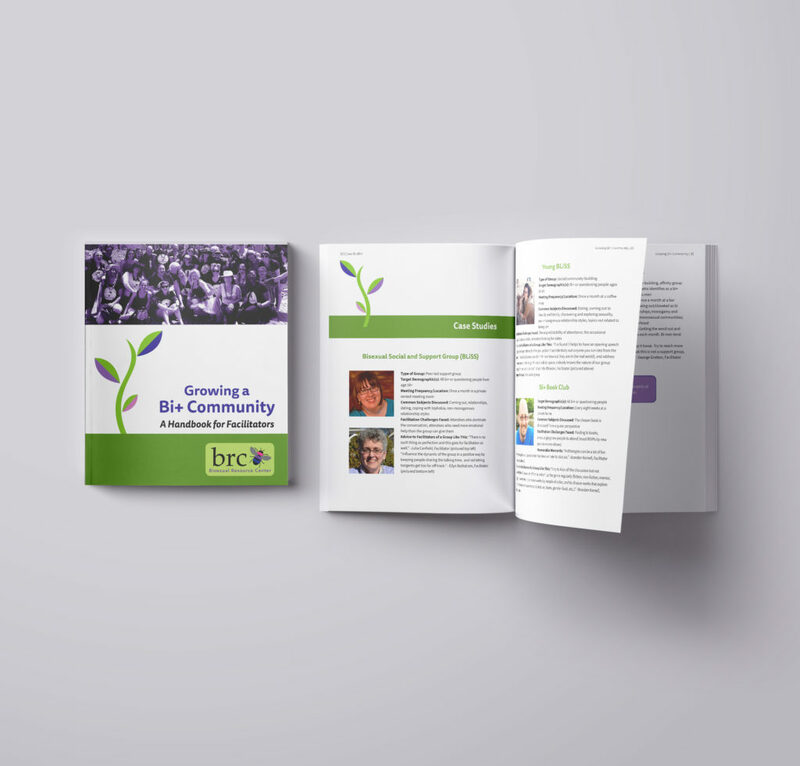 This 45-page booklet covers general information about the bi+ community, logistics of starting a group, facilitation recommendations, and resources. This handbook’s $10 price tag is a suggested donation. Please give what you can. Celebrate the intersection of identities with this 2″ vinyl heart sticker featuring the bi+ and trans* flags! Though it’s true that not all bi+ people are ethically non-monogamous, some are. Celebrate your intersections of sexual and relationship style identities with this 2″ vinyl sticker featuring the bi colors and poly infinity symbol! 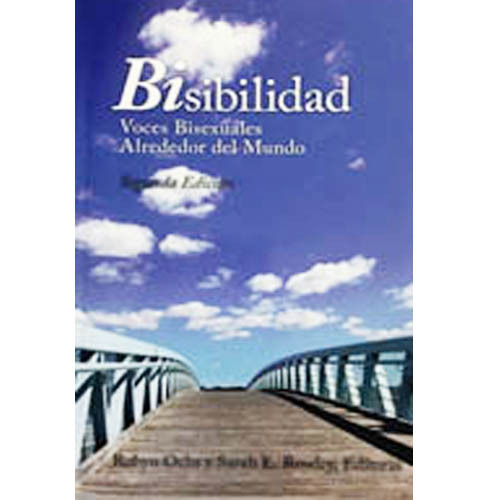 Bisibilidad: Voces Bisexuales Alrededor del Mundo, Segunda Edición, editada por Robyn Ochs y Sarah Rowley, es la colección de literatura sobre bisexualidad más amplia y disponible ahora. 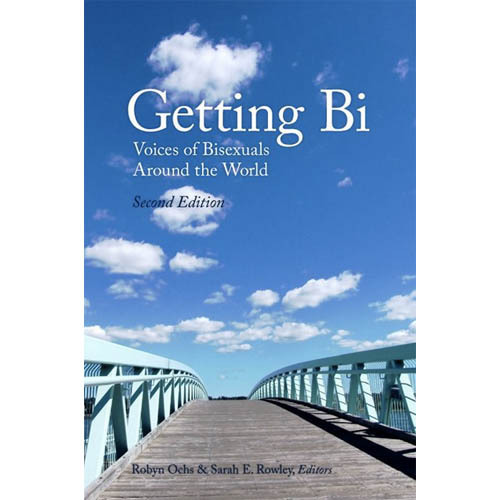 Bisibilidad contiene 220 ensayos internacionales que exploran la identidad bisexual. Los temas incluyen saliendo bi, relaciones, política, comunidad y mucho más. 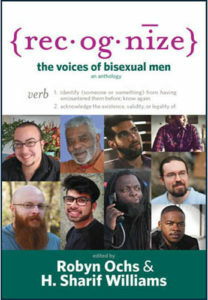 El libro también aborda la intersección de la bisexualidad con la raza, la clase, la etnia, identidad de género, la discapacidad y la identidad nacional. 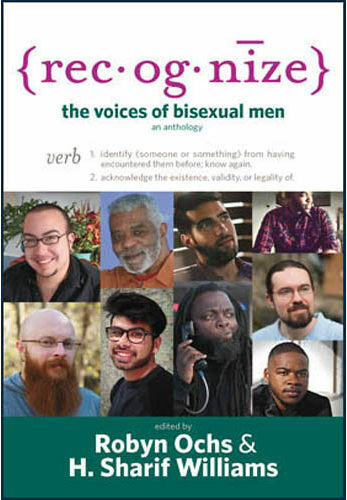 Autores de 42 países discuten bisexualidad de sus perspectivas personales y de sus propios contextos culturales que proporcionan una idea de opiniones de la sociedad sobre la bisexualidad de países desde Colombia a China. Assure those around you that your bisexuality isn’t a phase! Black crew neck with unisex sizing. 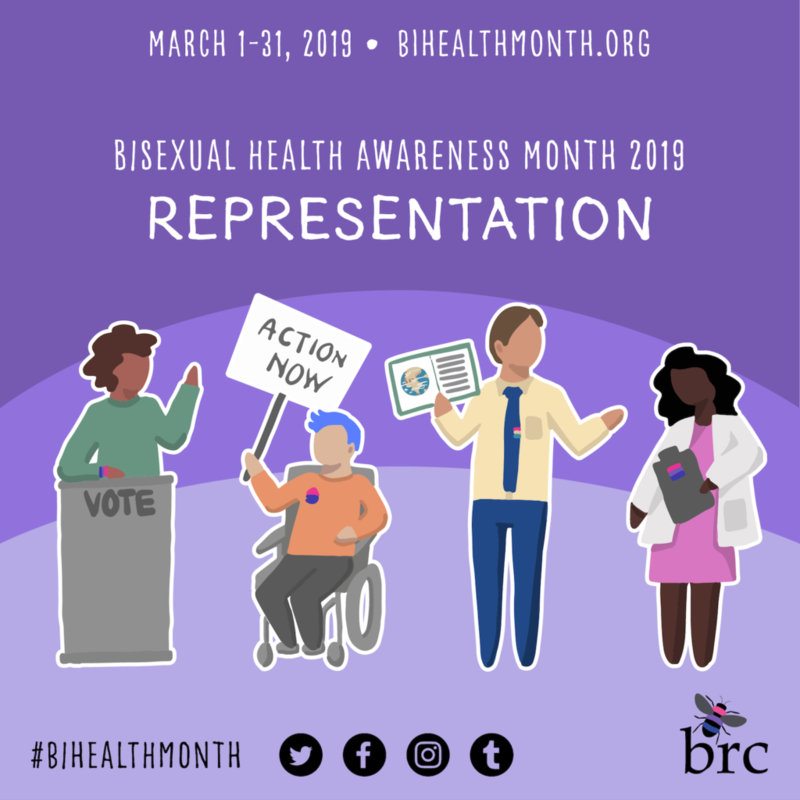 Assure those around you that your bisexuality isn’t a phase! White crew neck with unisex sizing. Measures 1.2″ high and 1.5″ wide.